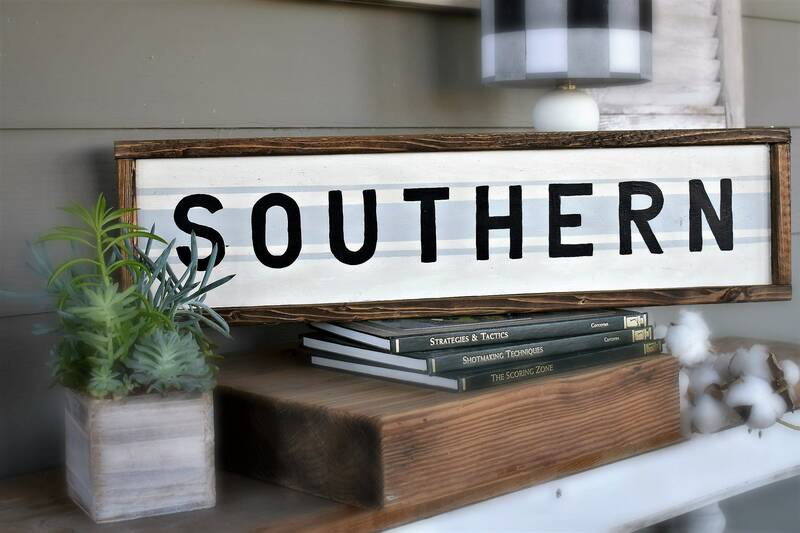 Add a little southern charm to your decor with this adorable "SOUTHERN" sign. It features a light grey painted grain sack stripe under the lettering. Can be hung or propped. This is one of my favorites!